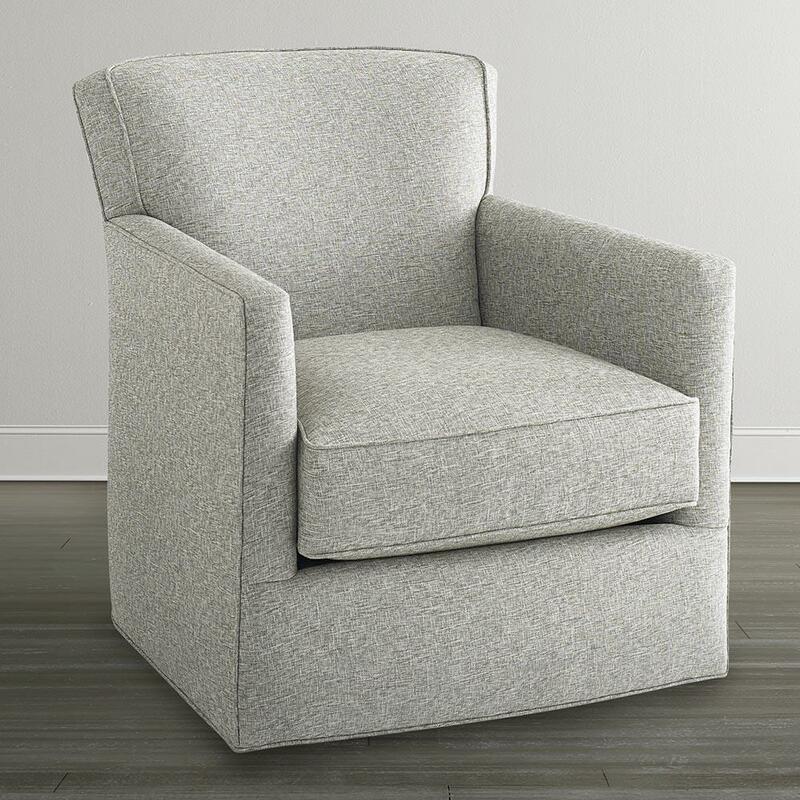 Simply styled swivel glider that is simply perfect in a variety of room styles and lifestyles. It features a padded back and box welted seat cushion. Available to special order in a variety of fabrics. The Accent Chairs by Bassett American Living Swivel Chair by Bassett at Great American Home Store in the Memphis, TN, Southaven, MS area. Product availability may vary. Contact us for the most current availability on this product.